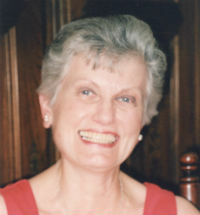 Gail (West) McLaren passed away on Nov 26, 2015 after a brief, but valiant fight with cancer. She was cared for at home by her daughter, husband and Visiting Nurses. She was admitted to the hospital on November 24 and was surrounded by family until she finally succumbed to her illness. Gail was born June 6, 1934 in Portland, Oregon. After graduating with honors from the University of Oregon in Education, she taught for one year prior to marrying her husband, Richard, on June 16, 1957. She met Richard through mutual friends at a college dance. Company transfers resulted in moves to Michigan, Virginia, Delaware, Oregon, Minnesota, Illinois, Pennsylvania and California. She was a loving mother who helped raise and guide her two children while being active in their schooling, the AAUW, League of Women Voters, Chicago March of Dimes, and a number of other charities. She retired to Santa Barbara in 1994 where her philanthropic interests continued. She became active in Newcomers, Transition House Auxiliary, Symphony League, the Women’s Club and two book groups. She valued greatly her many Santa Barbara friends. She loved the numerous summers spent with her grandchildren showing them the wonders that Santa Barbara held. She was a dedicated mother and a doting grandmother ever ready with a camera to catch a picture of her beloved grandkids. Gail was an avid lover of the arts, gardening – especially orchids, cooking, yoga and spending time entertaining friends and family. The family will hold a private service and entombment at the Santa Barbara Cemetery. Gail is survived by her husband, Richard, daughter Jennifer Saad (Samir), son Dr. Steven McLaren (Angela) and grandchildren Drew Saad, Elena McLaren and Colin McLaren. In lieu of flowers the family requests donations be made in her honor to Transition House of Santa Barbara.